Presidents’ Day is Monday, February 18, 2019. Presidents’ Day is a federal holiday held on the third Monday of February. It honors presidents of the United States, including George Washington, the first U.S. president. Some states also honor Abraham Lincoln, the 16th U.S. president. Both Lincoln and Washington have birthdays in February. Lexington is heavily populated by retail stores, restaurants, banks, and shipping services. The list below is a sampling of what’s open and what’s closed for Presidents’ Day in Lexington. What’s open/closed on Presidents’ Day? Presidents’ Day is a federal holiday so Lexington-Fayette Urban County Government offices are closed. All USPS stores and post offices are closed. 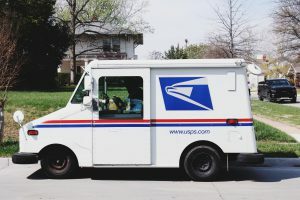 USPS won’t accept or deliver any mail (excluding Priority Mail Express mail items). Pick-up and delivery will resume on Tuesday, February 19. However, FedEx and UPS provide normal pickup and delivery services. Financial markets are closed in the U.S. as the New York Stock Exchange and Nasdaq will observe the holiday. Bond markets are also closed. The vast majority of major regional and national banks are closed for Presidents’ Day. Some local Lexington banks are open, please call specific locations for holiday hours. ATMs are available 24/7 for emergencies. Fayette County Public Schools are closed on Monday, February 18. Most private schools also take off in observance of the holiday, but you will need to check with specific schools. Most retail shops and groceries are open and operating on regular store hours for the Presidents’ Day holiday. LexTran buses are operating on a regular schedule. Lexington Public Libraries are all open. Is there trash collection on Presidents’ Day? No trash collection will be made on Monday, February 18 in observance of the Presidents’ Day holiday. Residents and businesses that normally receive curbside pick-up on Monday will be serviced the Wednesday after the holiday, February 20. Those impacted should place their carts out after 4 pm on Tuesday to ensure Wednesday collection. Businesses with dumpsters (landfill-bound and recycling) normally serviced on Monday will have their units picked up on Tuesday, February 19. Businesses with dumpsters normally serviced on Tuesdays will have their units picked up on Wednesday, February 20. Thursday and Friday pick-ups will be made as usual. Lexington Recycling Center, Electronic Recycling Center, and the Haley Pike Composting Facility are closed on the holiday. The Recycling Center, the Electronics Recycling Center and the Haley Pike Waste Management Facility will also be closed on Saturday, Feb. 16. What to do On Presidents’ Day? The Mary Todd Lincoln house is hosting a Presidents’ Day Family Event at 10 am on Monday February 18. The event includes games and activities focusing on “Mrs. Lincoln,” inspired by her role as First Lady. The event is designed for children ages 5-10 but is open to all students in grades K-12.